Just after the Fall 2008 enrollment period, AMG conducted independent research to better understand student perceptions about the five colleges and district. From this research, we were able to more strategically define objectives for the Alamo Community College District going forward and clearly understand brand awareness levels of the district and five colleges. Critical to the district were the low awareness levels among students as to the relationship of the district and five colleges. Not only was name association at lower than acceptable levels, but logo recognition for the five colleges and district was extremely low, even though there was an internal perception that logo recognition was not an issue. 1. There was no branding that existed which unified the district as one identifiable entity. 2. Using multiple logos with no commonality caused confusion and drove a perception that the district and colleges were small. As a result of the research, the agency, with board support, embarked on creating new identity for the district and five colleges. AMG created a modern version of the symbolic roofline from the historic mission, which was then used for the District and for each of the colleges as the unifying element to differentiate each college. We incorporated a dominant color from their previous marks, which had perceived historical value for each individual institution. Once the new identity was launched, the agency started on the development of the brand architecture and personality. The goal was to create the image of a unified district (representing five individually accredited institutions) that conveyed an edgy and slightly sophisticated personality – one that would be engaging with a slightly younger audience, but also able to speak to parents who are influential in the decision on higher education. 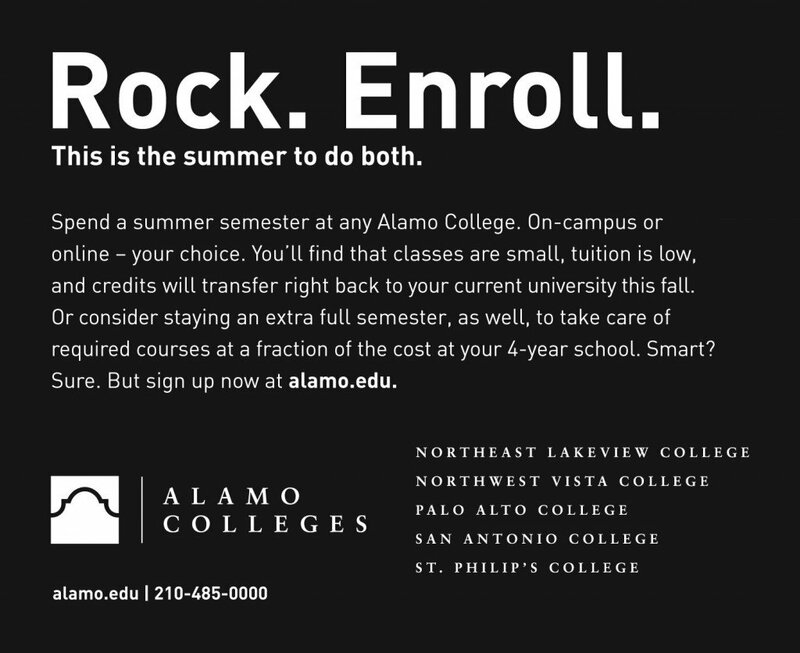 Between the initial 2009 effort and 2012, the agency created a new campaign that continued to support the overarching brand of the “Alamo Colleges” as a unified entity, while also embarking on a quality message by showcasing faculty from each college and their experience in the real world and how that conveys to the classroom. The campaign was followed by a research study that was benchmarked with the 2008 study. 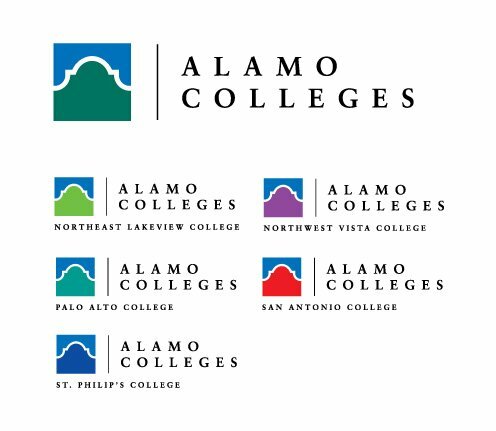 The study showed that influential and student brand awareness of Alamo Colleges increased.